Wat Buddhanusorn, “temple for the dedication of the Buddha”, was founded in 1983 and in keeping with Thai Theravadan Buddhist traditional has always relied on donations and volunteer work for its support. 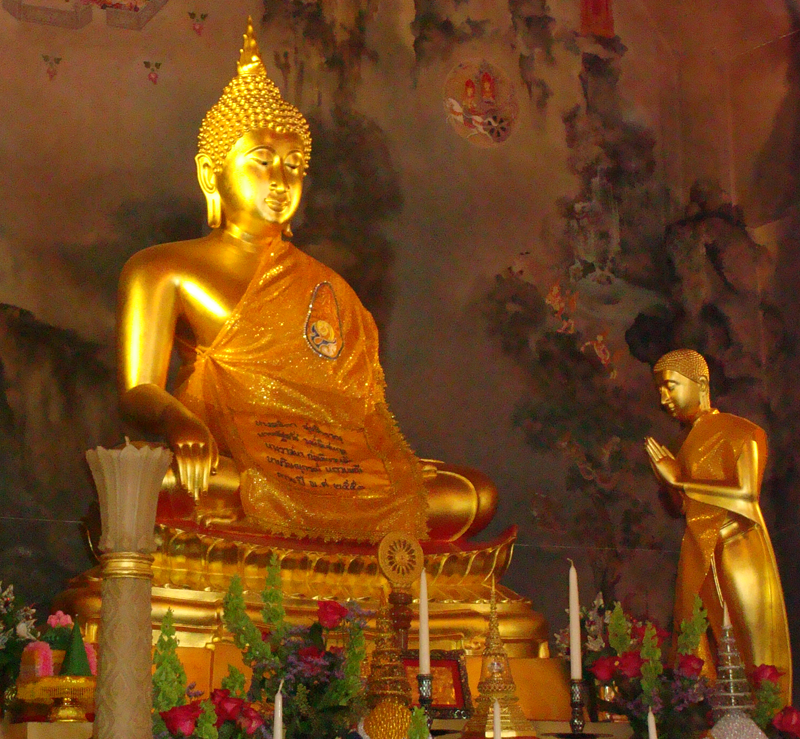 The main objectives behind the founding of the temple community are for propagating the Buddha’s teachings and practice, to teach and promote Thai art, language, and culture to all those who are interested, and to serve as a pillar of the Thai community. Every morning the monks gather in the main hall to chant and meditate. Following the morning meal they begin their work in and around the temple. The lush and colorful landscape features a rich assortment of flowers, shrubs, and trees all maintained by the monks. The sound of sweeping is a common refrain as the monks meditate on sweeping the grounds. There is always some ongoing project, whether it is cleaning and maintaining the property and buildings or publishing one of the many booklets. After the main lunch meal the monks continue with the temple projects. In the evening the monks again gather in the main hall for chanting and meditation. monks as well as kitchen, dining room, office, and meeting and social place for the frequent visitors. The garage also serves as a dance studio and place for the young people to socialize. The beautiful main temple building, under its colorful, Thai-style tile roof and exquisite gold leaf spires and embellishments was completed in 1997 and has two levels. The lower level houses several offices, music studio and rehearsal hall for the Thai Student Orchestra, storage areas, and a large open space, called the multipurpose hall, which is used for performances, meetings, and classrooms. The upper level in the main hall is used for Buddhist ceremonies, festivals, teaching and the daily chanting and meditation. Here you will see the central altar with the large, golden Earth-Touching Buddha amid a profuse offering of flowers in vases and delicate objects. The altar alcove is covered in a hand-painted mural depicting traditional Buddhist and Thai legends and life scenes. The hall reverberates with the chanting from the monks and provides a welcome environment for the many visitors who seek a happy place to practice the Buddha’s teachings. Besides the activities of the temple itself, the monks and supporters are involved in the greater community of Fremont and abroad. They work with the Tri-Cities Ministerial Association, donate food and supplies to local and national charities and homeless shelters, provide scholarships and meal funds for students in Thai villages, support traditional Thai medical pharmacies, the Chai Pattana Foundation, and the National Council of Welfare of Thailand. The abbot, Pramaha Prasert also volunteers to teach Buddhism to prison inmates. Many of the projects the monks and supporters are involved in focus on building and strengthening the Buddhist community in Fremont whether it be holding an open house or conducting meditation and dhamma classes. All are welcome to attend without discrimination and the congregation has begun to reflect the diversity of their community, something rather uncommon in Thai temples in the west. Wat Buddhanusorn has been blessed with visits from many dignitaries. One of the most memorable events at the temple was a visit from Her Majesty Queen Sirikit of Thailand i 1993, during the temple’s tenth anniversary. Her Majesty dedicated a stone and planted a tree to commemorate the event, making this the only temple outside Thailand where the Queen has given such a blessing. 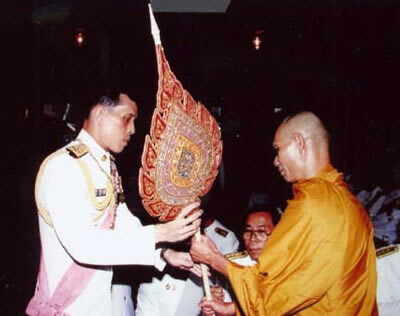 His Holiness Somdech Phramaha Thiracarya , the lord abbot of wat Chanasongkranm, visited and blessed the temple in 1993. In 1996 Her Royal Highness Princess Soamsawali dedicated the temple’s spire as well as having planted trees on previous visits. Her Royal Highness Princess Bajakitiyabha has also visited and planted trees. 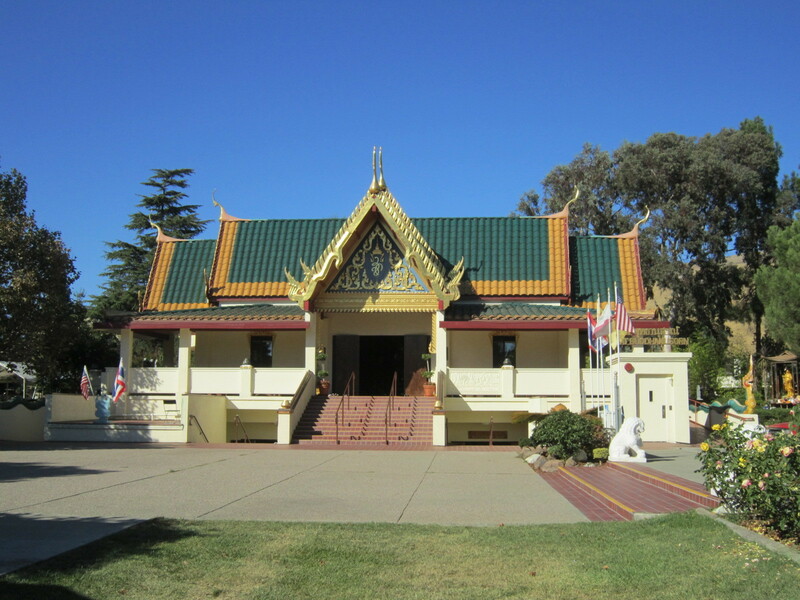 In 1997 His Holiness Somdech Phramaha Rajmangalacarya, presided over the largest gathering of Thai monks in the Bay Area, over 150 monks, for the demarcation of the temple. Truly these and many other blessings recognize and reflect the hard work of the whole community.